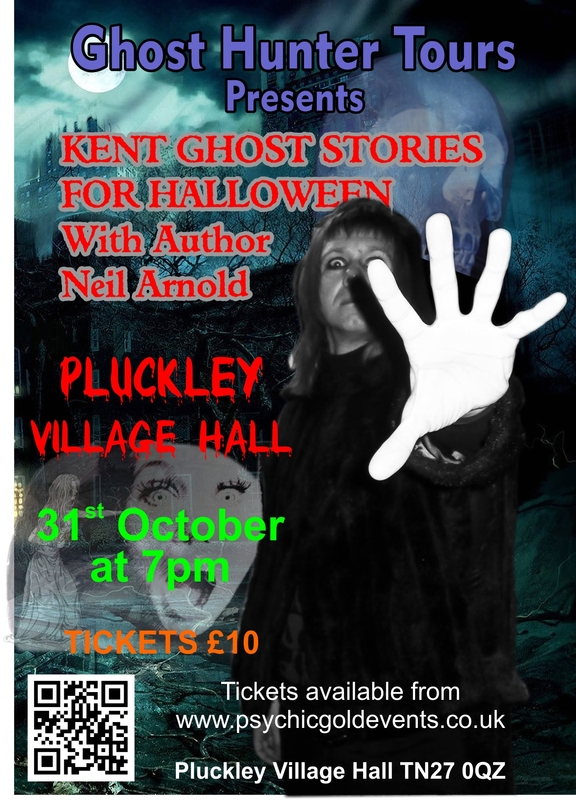 Join author and folklorist Neil Arnold and Ghost Hunter Tours for a night of ghost stories in Britain's reputedly most haunted village of Pluckley. Sorting out the facts from the fiction, he'll horrify and humour you with local tales of headless horsemen, phantom hitchhikers, ghostly monks, white ladies and of course, some of Pluckley's most famous legends - are you brave enough to join us in Pluckley this Halloween night ?? Included in your ticket price is tea & coffee during the interval. You will also get the chance to purchase Neil's books and get him to sign them for you. 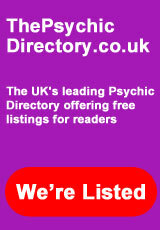 PSYCHIC GOLD OFFER THE VERY BEST IN PSYCHIC READINGS, MEDIUM READINGS, TAROT READINGS , ANGEL CARD READINGS, AURA PHOTOGRAPHY , PALM READING, CLAIRVOYANTS, MEDIUM EVENINGS, TELEPHONE PSYCHIC READINGS, EMAIL READINGS, ASTROLOGY , ANGEL CARDS , PSYCHIC ARTISTS , PSYCHIC READINGS IN MAIDSTONE, PSYCHIC FAYRES, PSYCHIC SUPPERS, FACE TO FACE PSYCHIC READINGS, PLATFORM MEDIUMS, PSYCHIC PARTIES .